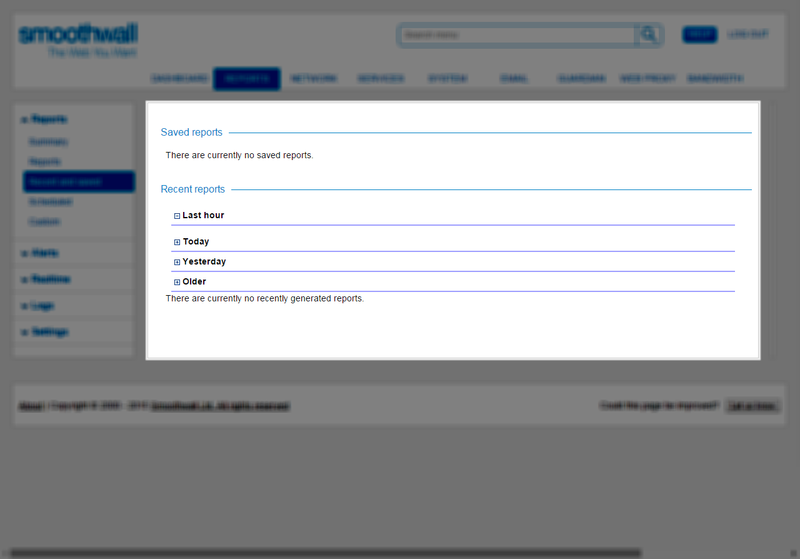 Generate a report as detailed in Generating Reports. When the report has generated to screen, enter a name for the report in the Save as text box at the top. Go to Reports > Reports > Recent and saved. If required, you can choose to password-protect the link. Users who have the shared URL are prompted to enter this password before they can view the generated report. From the Share report - <report_name> window, click Copy. 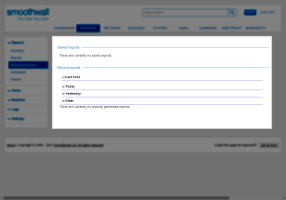 Paste the report details to the required share medium, for example, email. Go to Reports > Reports > Reports. Click the button for the relevant report.